Unless you’ve been covering your eyes and wearing earplugs for the last few hours, you’re probably aware of iOS 5, Apple’s new mobile operating system. If you think of downloading it, however, be sure to get iTunes 10.5 beta first. 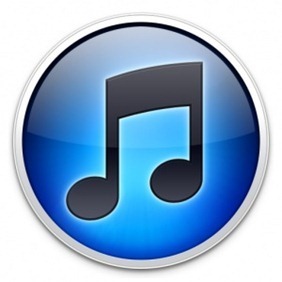 iTunes 10.5 is the second release of iTunes unveiled today, the first being iTunes 10.3. While the latter provides support for Apple’s new iTunes in the Cloud offerings and is available to the general public, iTunes 10.5 adds support for iOS 5 and, much like the OS itself, is only available to registered developers. In addition to iOS 5 support, iTunes 10.5 also supports more iCloud features that aren’t available in iTunes 10.3 yet and several user interface enhancements, such as disposing the window buttons horizontally (they were displayed vertically ever since 10.0, which upset some users) and slightly adjusting the look to better match Mac OS X Lion, with a slightly revised sidebar and toolbar buttons. Other changes include the ability to disable automatic over-the-air downloads, a feature present in iCloud. By "registered" developers, Apple is actually referring to those with paid subscriptions, which can be obtained by both individuals and companies for as much as $99 a year. Quite a steep price, but it will give you access to all the Apple goodies all Apple nerds can’t (legally) get anywhere else. While we never encourage piracy and urge our readers to respect intellectual property and only obtain the code they’re eligible to, it’s also a given that all this software will end up on file sharing networks in a matter of hour. That’s how most enthusiasts will get around the fee. You can learn on how to obtain a legal Apple Developer account on Apple’s Developer portal. You can also pay an additional $99 for access to Mac OS X-related downloads as well, including builds of the upcoming Mac OS X Lion, as well as future releases as long as you keep your subscription active. WWDC, Apple’s annual developer conference, kicked off today. In addition to iOS 5, other long-rumored innovations were unveiled, such as iCloud, and Mac OS X Lion, Apple’s next-generation Internet service and desktop operating system, respectively. The conference will go on for the remainder of the week, with sessions especially targeted at developers on how to take advantage of these newly-introduced technologies. iOS 5 introduces numerous new features, including a revamped MobileNotifier-esque notification system, an improved Safari browser and system-wide Twitter integration. Learn everything you need to know about iOS 5 right here. iTunes 10.5 beta can be downloaded from iOS Dev Center here.